Glenmorangie brings you the orange room journey with IMMA*BLEEP*YOUUP! The Unnecessary Well Made Glenmorangie Single Malt Whisky is back for the year of 2014 with it's first Party! 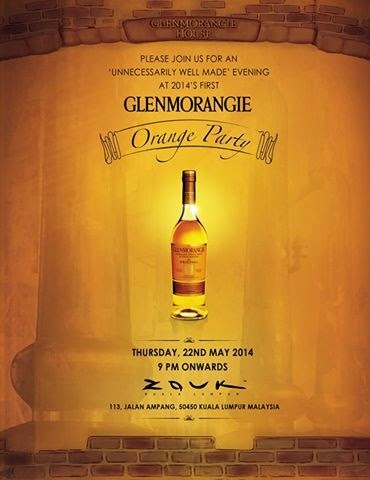 Glenmorangie is always about the best of different things and looks like this time they are going a sensational clubbing Journey at Zouk KL this Thursday 22/5/2014. Setting a great promise of taking it's attendees on an epic Orange 3D experience, Glenmorangie always brings it to life. I still remember the awesome art installation they had last year. It was a great sight indeed. So be sure to watch out to score invites to this great Orange Party on their Facebook page!